With an ever-evolving digital landscape, navigating it can be bewildering. Online is an essential platform for most businesses, especially the not-for-profit sector to raise and maintain their profile, provide detailed information about their charity and fundraise. Diverse Abilities is a local charity supporting children and adults with disabilities across Dorset. Their outdated website had served them well, but in order to meet the demands of an online world, it needed an update. Evolution is the path to success. 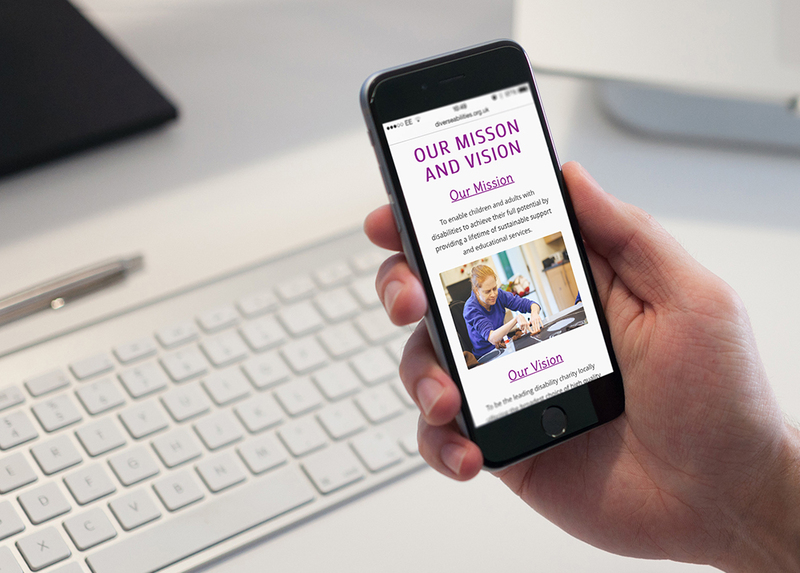 Diverse Abilities’ website served a large amount of information about the work the charity undertakes and their various services. 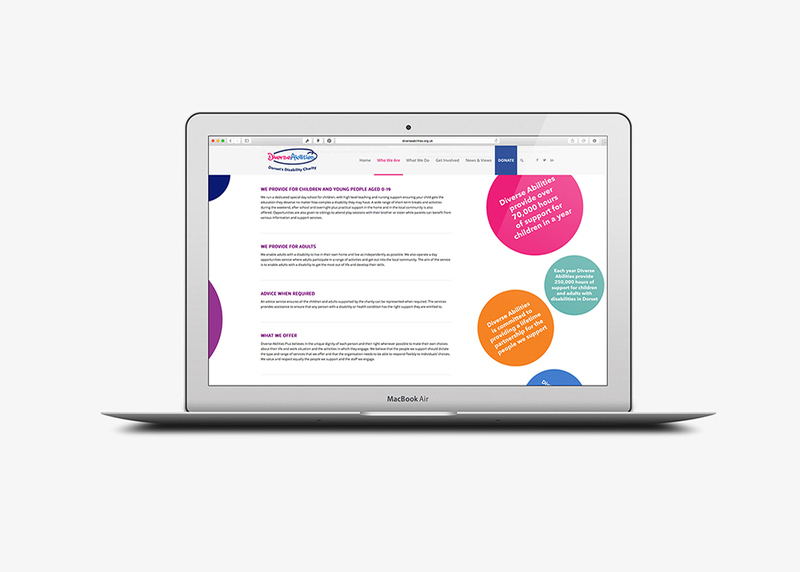 As the site was accessed by a range of people from service users to supporters, it needed to be easy for them to understand and to find the relevant information. To help Diverse Abilities set off on the path to progress, we stepped in to help them create a clean and modern website. Not only did it need to be easy to use with easily accessible information, they also wanted to incorporate a donation facility. 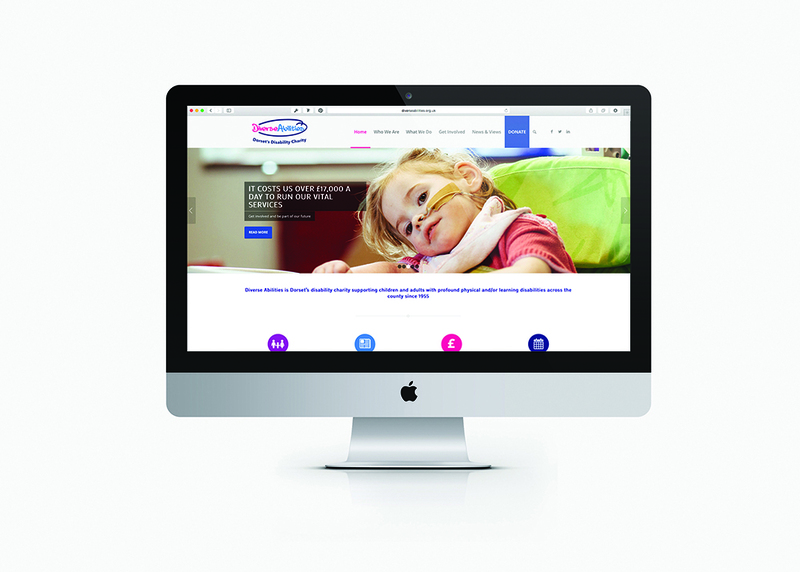 The Global team worked with Diverse Abilities to develop the new website. This initially started with concepts and ideas which then progressed into building the site designs and page layouts. Going forward the Diverse Abilities team would be updating the website regularly, so it was crucial that it was built with an easy-to-use CMS. Global supported in the beginning stages with training and advice on how to compile content allowing them to develop the site in their own time, and also once the website went live. The success of the website has meant that now Diverse Abilities have another way to fundraise and collect those all-important donations. 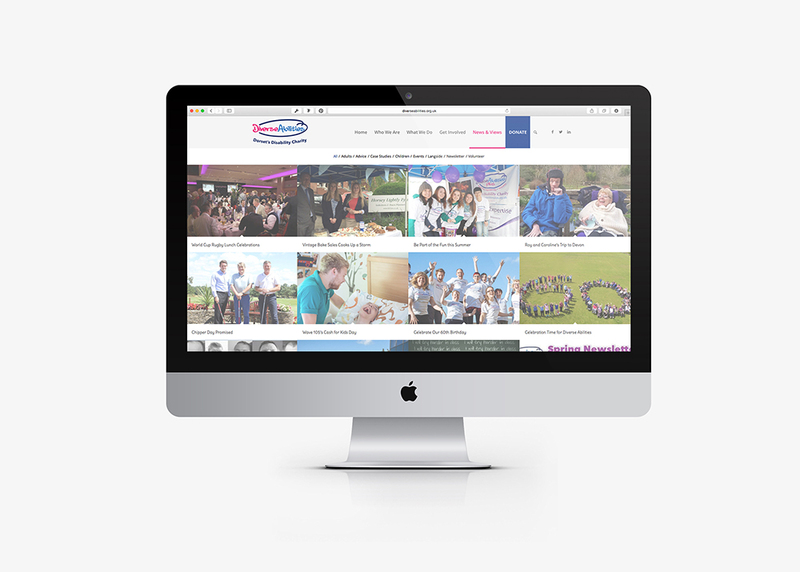 The team can now also update supporters with the latest news about fundraising events and the services they provide.